This morning the Preppies had the opportunity to visit all three airfield locations. 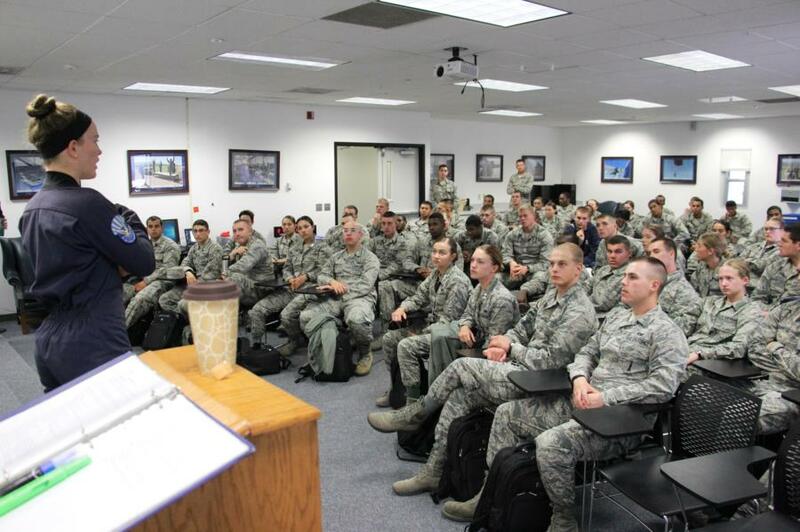 Splitting up by squadron, they each visited Powered Flight (557th Flying Training Squadron), Soaring (94th Flying Training Squadron), and Jump (98th Flying Training Squadron). 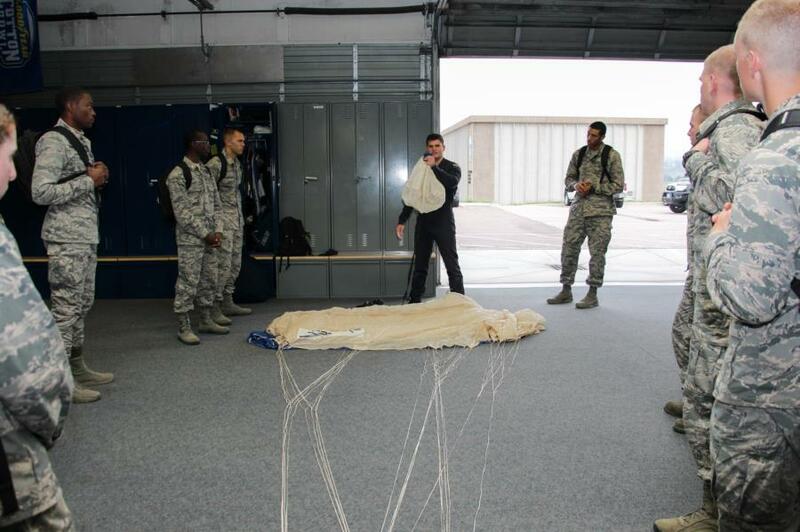 Jump is a Basic Freefall Parachuting Program that the Academy offers and it is the core mission of the Wings of Blue and the 98th Flying Training Squadron, all of the Cadets on the Wings of Blue team are certified AM-490 Instructors and Jumpmasters. Throughout each year over 700 Cadets complete this course where they achieve 40 hours of ground training and 5 unassisted parachute jumps to earn their Jump Wings. They will be able to wear these Jump Wings on their uniform for their entire military career. 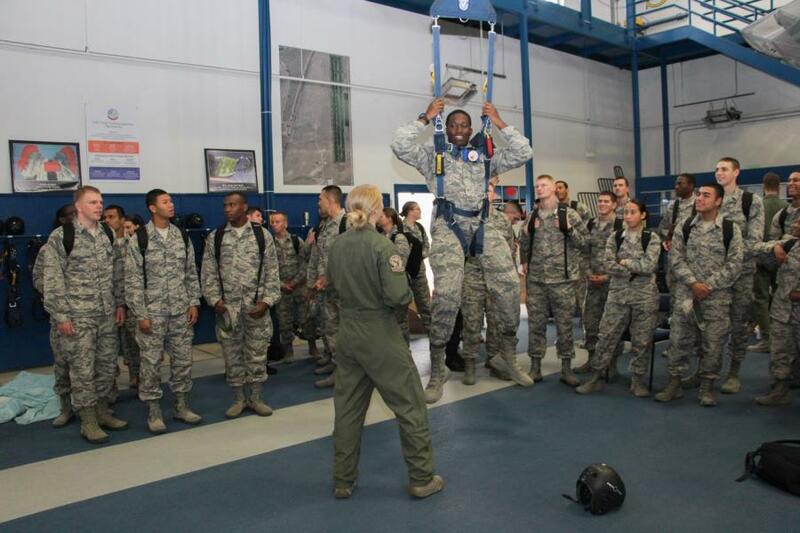 While at the 98th Flying Training Squadron, the Preppies also visited the Jump Packing Area and the Ground Training Facility. 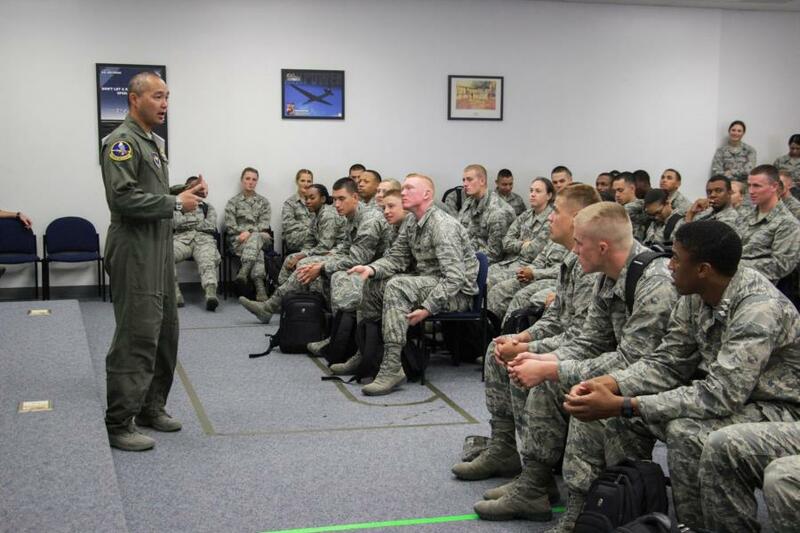 The Basic Soaring program at 94th Flying Training Squadron, provides a motivational experience for all 3rd class cadets. 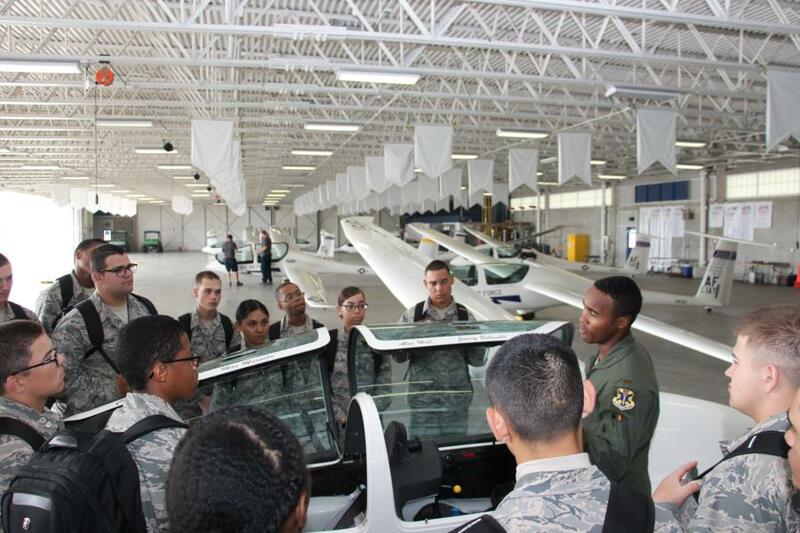 This program is the largest Glider operation in the world and its mission is to build character, and help motivate cadets as well as form the foundation of cadet exposure to military aviation, which is what many of them will do in their Air Force careers following their 4 years at the Academy. 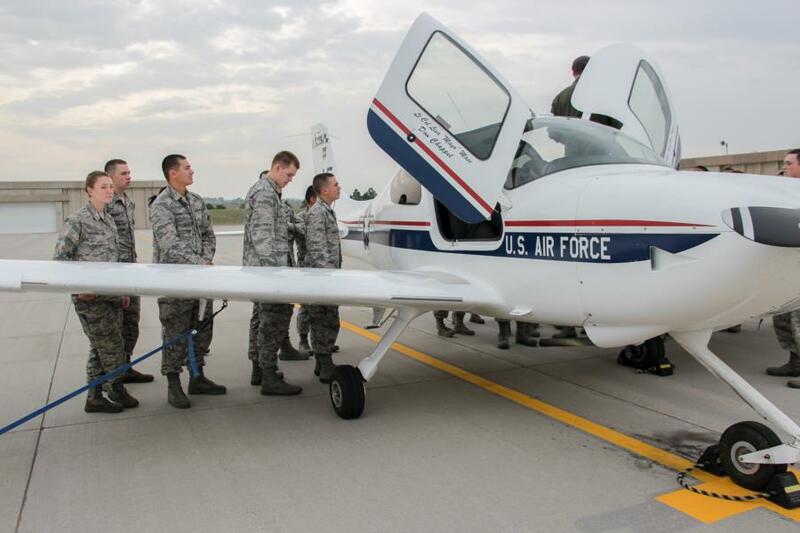 The cadets first experience soaring in the TG-10B or TG-16A which familiarizes them with aircraft controls, the ever-present crew checklists, area/pattern work, and the perspective to earth. The Cadets had some down time this morning due to weather so there was not much activity happening, but the Preppies got to go inside the Glider Hanger and get up close and personal with some of the gliders - a few even getting the chance to sit in one. They also went around outside and took a look across the runway and how the tow planes and gliders are set up. 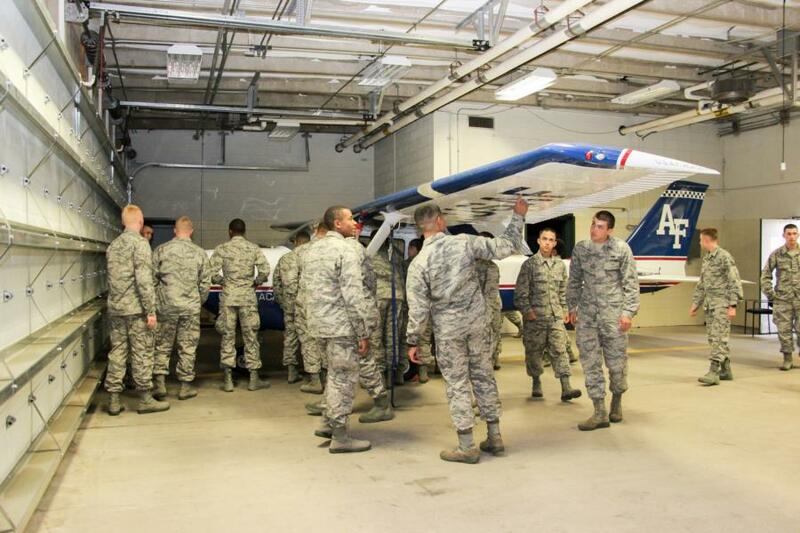 The Powered Flight Program at the 557th Flying Training Squadron, started back in 1974. 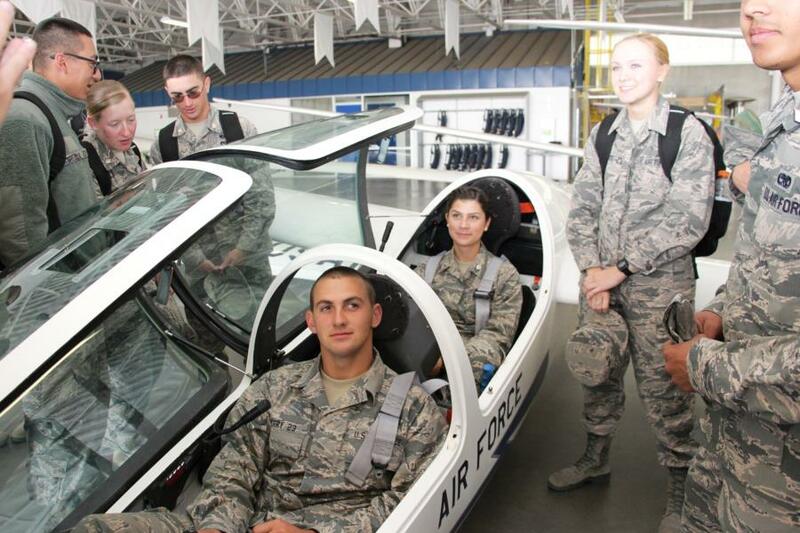 Powered Flight is a capstone course that serves as a culmination of a cadet’s aviation education. 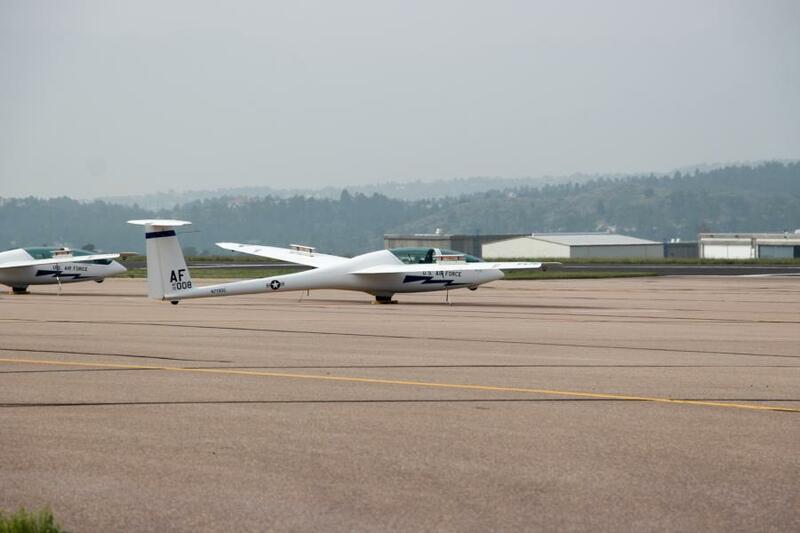 The training includes ground and flight instruction using T-53s, military instructors provide a basic introduction to Air Force pilot training and the experience of powered flight. Here Preppies got to get up close and personal with a T-53 and other aircrafts used at this location. During this Academic year, a handful of Preppies will get to possibly experience tandem jumps and rides in a T-53 over at Powered Flight! To view the rest of our glimpse into their visit to the Airfield go to; Classes - Prep School - Prep Life. Or click the link below.